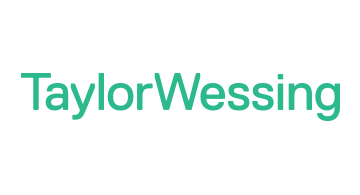 Taylor Wessing LLP is a leading international law firm, advising businesses throughout their life cycle. Specialising in Technology, Media & Communications, Life Sciences, Energy and Private Wealth, we act for 32 of the world's top 50 brands; some of the world's wealthiest families and most exciting start-ups. Our diverse client base allows us not only to advise on law and its role in business growth and protection, but also to introduce our clients to new people and fresh perspectives that will help their business flourish. Collaboration is key to our success. We have 420 partners and 1200 lawyers, spanning 33 offices in 20 jurisdictions globally. We place great emphasis on innovation – in how we deliver our service and advice: the solutions we find, and the ideas we offer our clients. We continue to push the boundaries to remain ahead of the market curve. This includes investing in the best talent and technology. In 2017 alone we launched a sector first cyber response app to help our clients navigate the complexities of security in a modern world, a Global Data Protection Guide and Patent Litigation Map to compare data protection and litigation regimes across Europe and beyond. Taylor Wessing LLP is part of London & Partners’ London Fintech Lounge at Money20/20 Las Vegas.